Flash floods have done damage to homes in the region, with several residents pumping out basements today as groundwater tables are slow to drop. Officials also are providing disaster relief assistance in various places. Up to 10 residences pumped water out of basements south of Route 220 bridge in Picture Rocks, according to a borough official. “It will be several days until the water table drops,” William Dorman, borough manager/secretary, said. The creek was at 2 1/2 feet Wednesday morning, he said. 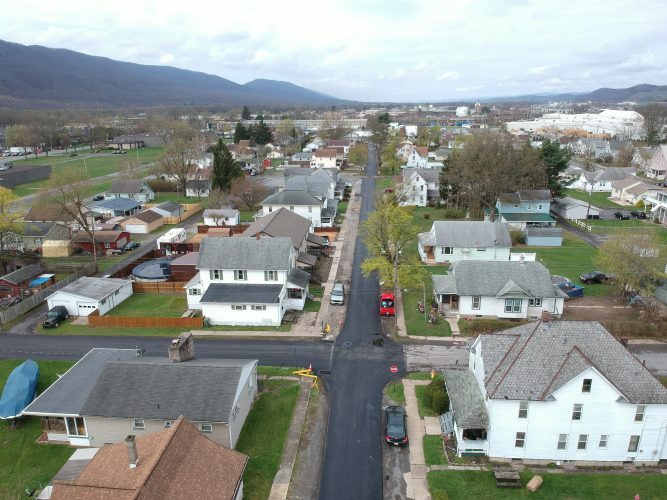 Disaster relief is expected to be provided from 9 a.m. to 4 p.m. Monday through Friday by the Northern Tier Central Labor Council that covers Clinton, Lycoming, Tioga, Bradford and Sullivan counties. “We will assist and be collecting clothing and food for flood displaced families at the IBEW Local Union 812 union hall at 500 Jordan Ave., Montoursville,” said Paul Huffman, activities coordinator for the union. “Someone will be there to take care of drop-offs, or individuals who are in need may arrive for help,” he said. For questions on the drop-off, Huffman’s telephone number is 570-220-3212. He said the food and clothing will be put to good use where it is needed. “We’re not just about the union, but also are involved with outreach programs, parades, get involved with communities to get information that we are out to help anyway possible,” he said, adding, the union helps all in special ways whenever disaster strikes. A Red Cross shelter at the Towanda Elementary School on State Street remains open to assist those who have been displaced by the flooding, according to Kim Maiolo, a spokeswoman. Six residents were using the shelter because of flood displacement, she said. Red Cross volunteers will continue to welcome affected residents in need of a safe place to sleep, she said. For help the number to reach Red Cross is 570-524-0400. The National Weather Service in State College is calling for possible thunderstorms this afternoon. • Lower Barbours Road between Route 87 and Dunwoody Road in Plunketts Creek Township. • Kehrer Hill Road between Route 864 in Upper Fairfield Township and Burns Road in Mill Creek Township. • Chippewa Road between Route 405 in Muncy Creek Township and Beacon Light Road in Muncy Township. • Wallis Road between Route 442 and Dairy Farm Road in Moreland Township. • Main Street between Route 220 in Davidson Township and Nordmont Road in Laporte Township. • Ogdonia Road between the Lycoming County line in Shrewsbury Township and Route 87 in Hillsgrove Township. • Route 4009 between Campbellville Road and Millview Mountain Road in Elkland Township. • Estella Spur between Route 154 in Elkland Township and Millview Mountain Road in Forks Township. • Campbellville Road between Route 4009 in Elkland Township and Warburton Hill Road in Forks Township. • Dushore Overton Road/Main Street between Kelly Hill Road in Forks Township and Churchill Street in Dushore.